To care for someone else effectively, you need to care for yourself as well. 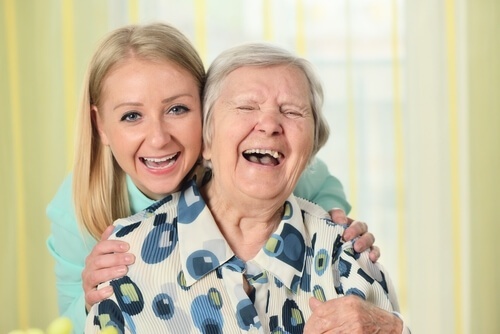 Although often overlooked, caregiver health is important. Taking care of yourself as a caregiver protects those you care for from illness or from mistakes made when you are too tired or emotionally drained. Taking care of yourself as a caregiver involves taking advantage of opportunities to get refreshed, look out for your own health, and enjoy those around you. Fortunately, Cleveland caregivers have plenty of options for getting refreshed in the local area. Spending time outdoors can naturally boost your mood and your health as a result. Get in the habit of visiting local parks with the individuals you are a caregiver for, by yourself, or with loved ones. You can feed the ducks, play sports, or simply take a stroll. Cleveland is home to over 150 parks, so there are plenty of locations to choose from. This includes the Cuyahoga Valley National Park and several Cleveland Metroparks. Many of these parks are also reservations and feature waterfront areas or unique habitats. Many offer programs, events, and even trail challenges. Self-care should be relaxing, giving you time and space to rest physically and emotionally so that you are restored to the health needed to care for others. Spas, Salons, and Massage Parlors are designed to offer relaxation and restoration. Choose from Cleveland’s top picks for spas based on the services you prefer and the atmosphere that best suits your relaxation style. Living in the Cleveland area, you’re probably aware that the Cleveland Clinic is one of the best medical centers in the country. Many wellness programs are offered through the clinic as well as in the local area. Programs are designed to help individuals improve their diet, fitness, stress levels, and more through personalized coaching, training, and planned activities. The Cleveland YMCA, for instance, partners with many employers to provide programs for Diabetes prevention, weight loss, and other initiatives. Individuals can also become members at the YMCA and participate in fitness classes, many of which target specific health goals. Food and health are inextricably linked. Not only is eating essential for survival but eating healthy foods can improve physical health. Enjoying eating with loved ones can enhance emotional health as well. In Cleveland’s quaint downtown and chic surrounding area, finding healthy restaurants to enjoy with your spouse, children, or friends is easy. Many local restaurants cater to specific diets for those with health issues, preferences, or goals. Check out Fitt’s list of Cleveland foodie favorites sorted by diet type for ideas. Sometimes a little retail therapy of window shopping can work wonders for the wearied caregiver. Cleveland is known for its quirky and quaint commerce. Check out local shops, fully stocked malls, and even more unique locales like antique shops or art galleries. As you consider these fun, refreshing Cleveland activities for self-care, find a few that can become a habit. Since you’re a caregiver, you know that health isn’t something you accomplish, it’s something you maintain. Make refreshing activities like these staples in your life so that you can keep up with the rewards and demands of caring for others.